The Chandler Unified School District is a premier district of choice. Our kindergartens have a lot to brag about! 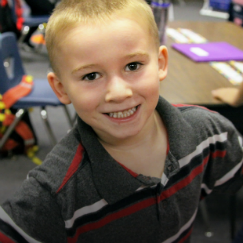 Scroll down to check out our Kindergarten BRAGS, and click a menu item on the left to learn more about your many choices and how to register! 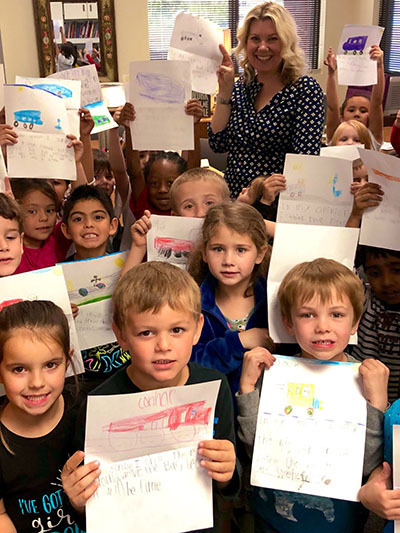 Jacobson Elementary - (2018-2019) Jacobson kindergarten students are writers! Students use specific skills to learn the art of writing. Those skills are built upon throughout the years, culminating in sixth grade! We are a school of authors! 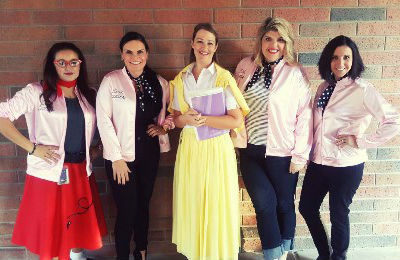 Andersen Elementary - (2018-2019) Andersen Elementary celebrated Character Day for the beginning of literacy week in March. Kindergartners dressed the part! 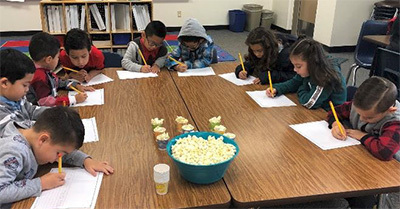 Shumway Leadership Academy - (2018-2019) The English language development students in Kindergarten at Shumway Leadership Academy have been focusing on independent writing with real world prompts. They are using details and descriptive words in their sentences. They are "poppin!" Weinberg Elementary - (2018-2019) Weinberg staff didn't want the fun of the 100th day of school to end, so they celebrated the 101st day by dressing as the 101 Dalmatians. They even had a Cruella de Vil (kindergarten teacher, Jessica Murphy). 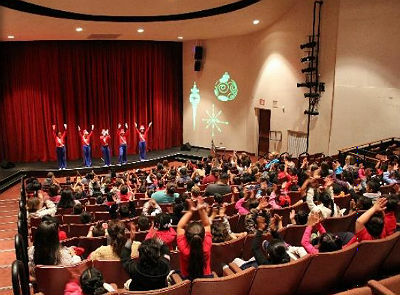 Chandler High - (2018-2019) One hundred Chandler High dancers and 10 backstage crew performed for 180 San Marcos and Hartford Sylvia Encinas kindergarten students in at the Chandler Center for the Arts last week. All involved had a great time! 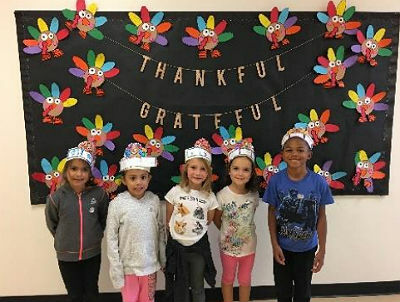 Hancock Elementary - (2018-2019) Hancock Elementary kindergarten students in Laura Lopez' class celebrated being thankful and grateful! 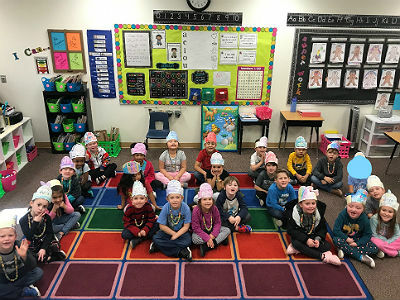 Jacobson Elementary - (2018-2019) Ms. Ireland's Investigators helped their kindergarten buddies with the Alpha Arch learning letters and their sounds. Each class is paired with a reading buddy class where the older students work with their younger peers to encourage a love of reading. 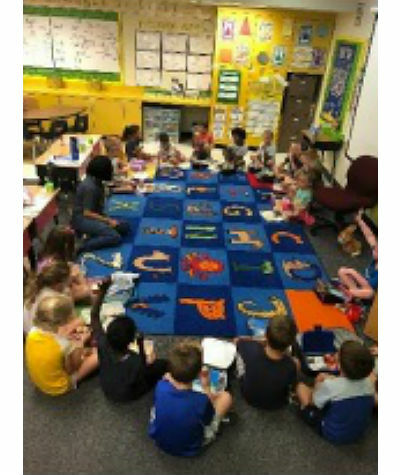 Shumway Leadership Academy - (2018-2019) Third grade English language students at Shumway Leadership Academy served as leaders for the Kindergarten English language development class to meet their goals in listening, speaking, and writing. They assisted in providing an authentic and messy hands on experience to further their understanding of adjectives, noun and prepositional phrases. 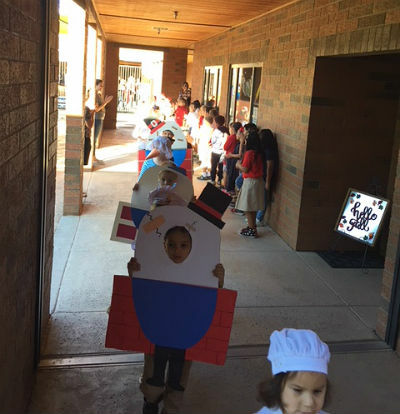 Chandler Traditional Academy - Humphrey Campus - (2018-2019) CTA Humphrey's annual "Kindergarten Nursery Rhyme" parade was a huge success! 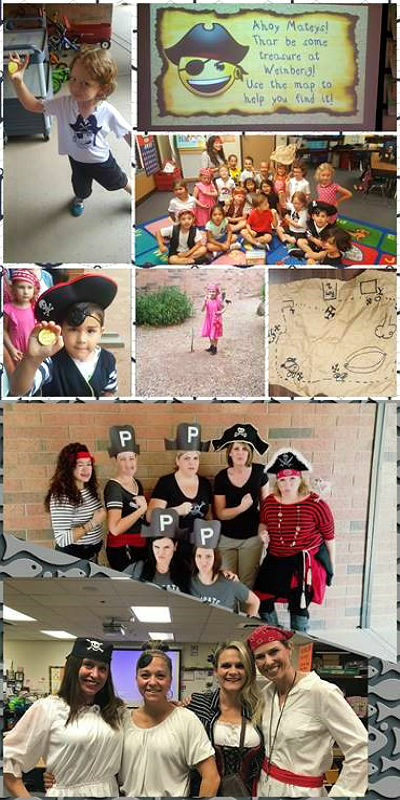 Weinberg Elementary - (2018-2019) Shiver me timbers! Wednesday, September 19th was National Talk Like a Pirate Day. Kindergarten students from Mrs. Perea's class learned how to read a map to find hidden treasure found at Weinberg. The kindergarten team and other staff members really got into the spirit of things. Pirate teachers "aargh" great! Weinberg Elementary - (2018-2019) Mrs. Mathew enjoyed a picnic lunch with Ms. Pingel's kindergarten class. The class earned this by raising money for the annual Fun Run fundraiser. There are many more classes that will be eating with Mrs. Mathew, and she is so looking forward to the very interesting conversations with the students. Weinberg staff is very thankful for the community's help in raising funds for our school. 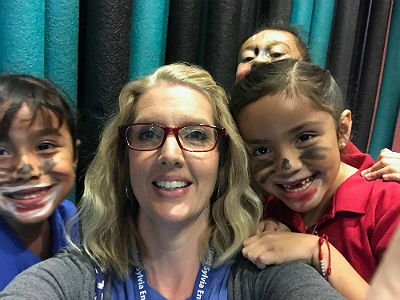 Galveston Elementary - (2018-2019) Galveston kindergarten teacher Denise Castillo won a $500 Supply My Class APS Teacher Award from Arizona Public Service. 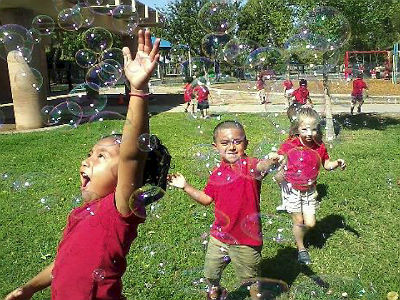 Frye Elementary - (2018-2019) Frye Elementary kindergarten students used the inquiry process to formulate questions on how bubbles moved differently when they came from a bubble machine or by a person blowing through a wand. It was followed up by a writing activity. The activity also was part of a celebration of the 25th day of kindergarten. 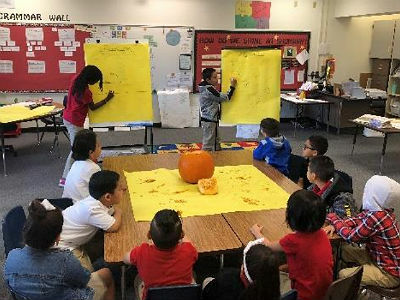 Hartford Sylvia Encinas Elementary - (2018-2019) Mrs. Hickey's kindergarten class uses data to track their growth. 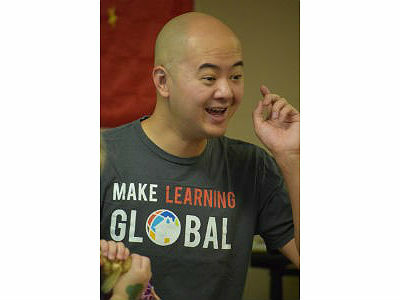 Tarwater Elementary - (2018-2019) Jim Chiang, Tarwater's Dual Language Immersion (DLI) Mandarin kindergarten teacher, was chosen as a presenter for the ASU Confucius Institute's Professional Development Series. Jim will be leading a lecture and sharing his expertise as a successful, Dual Language Immersion educator. Tarwater is very fortunate to have Mr. Chiang, and we are proud to call him a Toro! Hancock Elementary - (2018-2019) Students in our kindergarten classes celebrated "Color Days," practicing their colors and learning color words. Pictured: Ms. Cook's class (yellow day), Ms. Rickels' class (blue day) and Mrs. Lopez's class (red day). Hancock Elementary - (2017-2018) Mrs. Condos' Kindergarten class is celebrating the end of the year with an ABC countdown. Today, they are working on the letter Q for Queen and King Day. Hancock Elementary - (2017-2018) Mrs. Hull read to our future Class of 2031 students during story time at Hancock Elementary. Basha Elementary - (2017-2018) Basha Elementary kicked off Read Across America week by celebrating Dr. Seuss and his famed books. Monday was Cat in the Hat day. 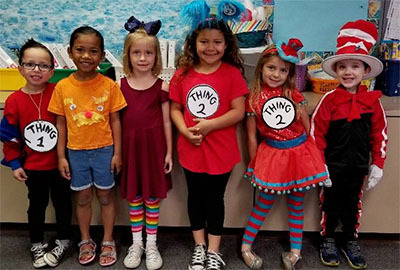 Basha kindergarten teachers Cynthia Contreras, Lynne Jacobs and Arwen Lee joined in the festivities by dressing up as the Cat in the Hat. 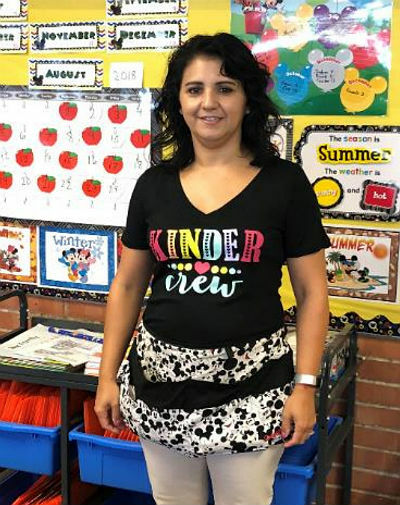 Patterson Elementary - (2017-2018) Parent comment: "Mrs. Redford is an exceptional kindergarten teacher who goes the extra mile to bring life to her teaching. I am most impressed with her extra effort to provide STEM skills to students through the Coding Club that she offers before and after school once a week. My son loves learning to code with Ozobots and Evos and is really excited about the HUGE project they are starting where they are building Disneyland and California Adventure to navigate the Ozobots through! Mrs. Redford's energy and enthusiasm for technology is contagious, and I appreciate all of her hard work and time that goes into it." 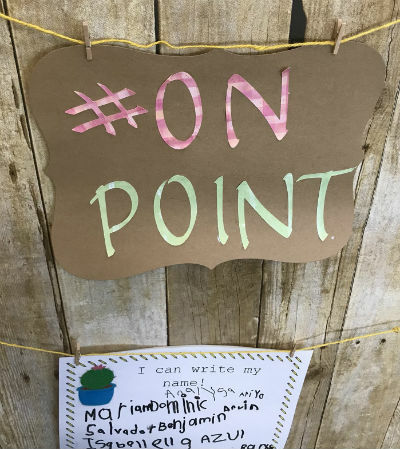 Hartford Sylvia Encinas Elementary - (2017-2018) The kindergarten students had fun exploring at the Children's Museum in Phoenix. Hartford Sylvia Encinas Elementary - (2017-2018) Mrs. Hickey's kindergarten class celebrated the 100th day of school with a lot of fun activities. 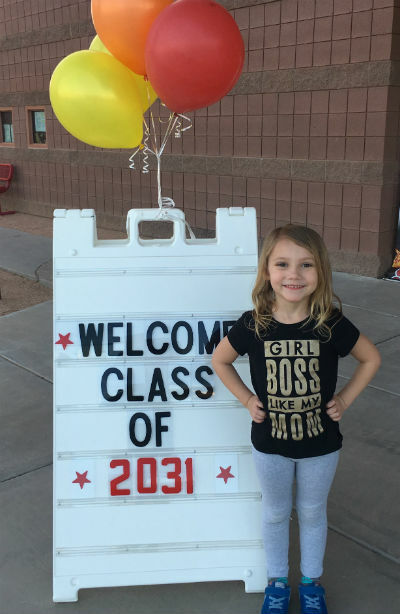 Hancock Elementary - (2017-2018) Hancock welcomes the Class of 2031 to our Kindergarten Open House. 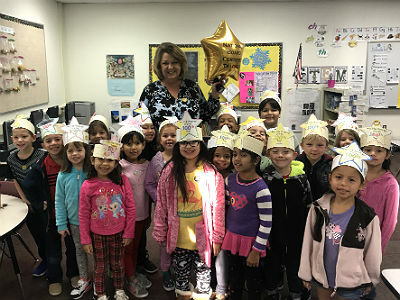 Sanborn Elementary - (2017-2018) Congratulations to Julie Letofsky, Sanborn Elementary kindergarten teacher, on receiving a Golden Balloon for renewing her National Board Certification for the 2nd time. Chandler Traditional Academy - Liberty Campus - (2017-2018) CTA Liberty primary grades celebrated the 100th day of school. Kindergarteners brought in projects of all sorts, sizes, and shapes that had 100 items on them. Our first graders dressed up like what they thought they would look like at 100 years of age. 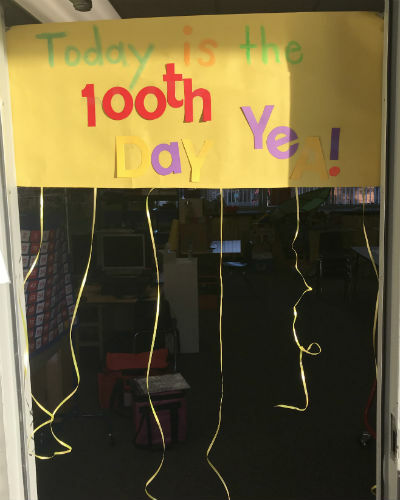 In second grade, teachers wore special turquoise 100th day of school shirts and also had their second graders do a writing assignment poster answering different questions about 100. Check out some of our 100-year-old students! Jacobson Elementary - (2017-2018) Jacobson Jets celebrate being 100 years old on the 100th day of school with the kindergarten team! Hancock Elementary - (2017-2018) Our kindergarten and first grade students enjoyed an author visit from Amy Dominy and Nate Evans! Students created a group story about a snowman trapped in a tree who was saved by a passing boat. We can't wait to read Cookiesaurus Rex! Chandler Traditional Academy - Humphrey Campus - (2017-2018) Student in Mrs. Sadhwani's kindergarten class created a fan using a circuit board! 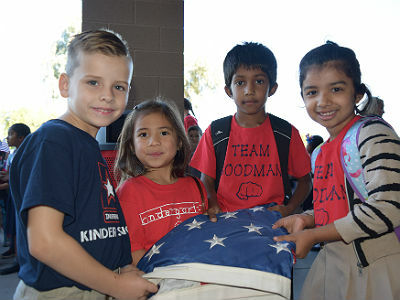 Chandler Traditional Academy - Independence Campus - (2017-2018) CTA Independence kindergarten and 1st grade students celebrated Veteran's Day with a patriotic flag ceremony. 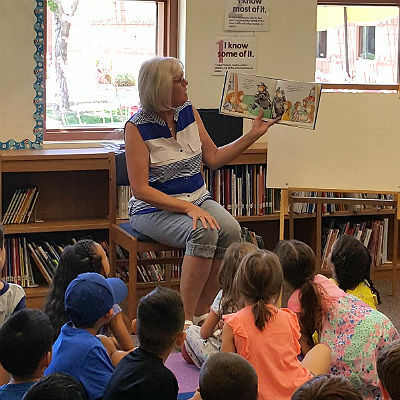 Hartford Sylvia Encinas Elementary - (2017-2018) Hartford students in grades Kindergarten through fifth grade participated in the Cardon's Children's hospital Safety Town. 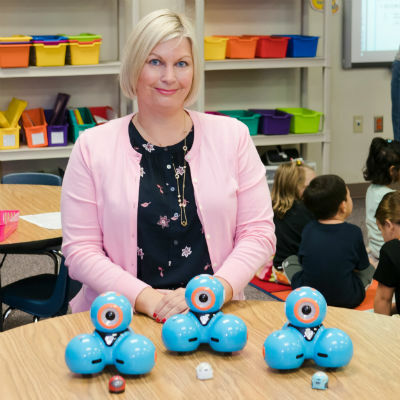 Carlson Elementary - (2017-2018) Congratulations to Carlson kindergarten teachers Ms. Denardis and Mrs. Lynch who were awarded a grant of funds from the Chandler Education Foundation to purchase class sets of Ozobots (mini computers to teach coding skills). 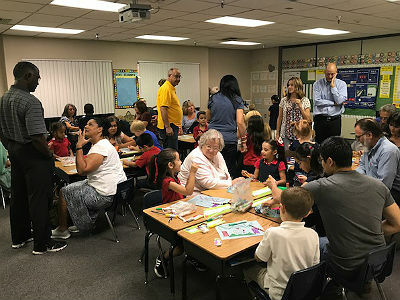 Chandler Traditional Academy - Humphrey Campus - (2017-2018) CTA Humphrey kindergartens celebrated Grandparent's Day! 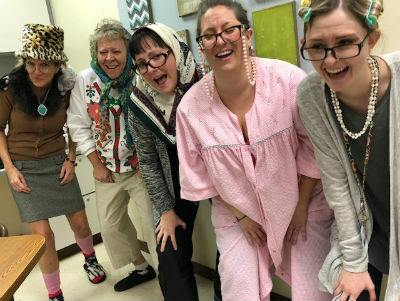 Weinberg Elementary - (2017-2018) Weinberg kindergarten teachers dressed up to celebrate the 70th day of school! Jacobson Elementary - (2017-2018) Jacobson Jets teachers are back hard at work. Teachers discuss what writing looks like in kindergarten through sixth grade. Teams work together closely in grade bands to focus on student learning at the highest level. 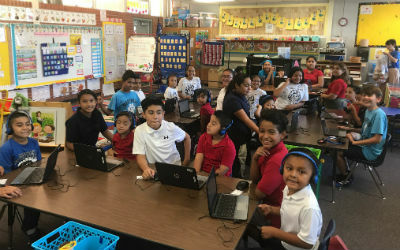 Hartford Sylvia Encinas Elementary - (2017-2018) Our 6th grade students helped the kindergartners with online testing. 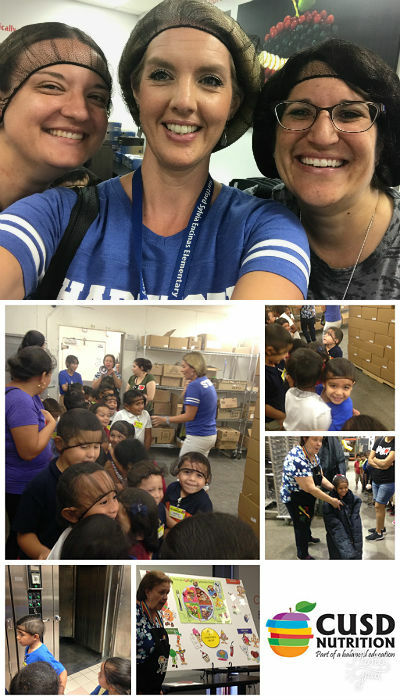 Hartford Sylvia Encinas Elementary - (2017-2018) Our kindergarten students and teachers had fun visiting the Central Kitchen. 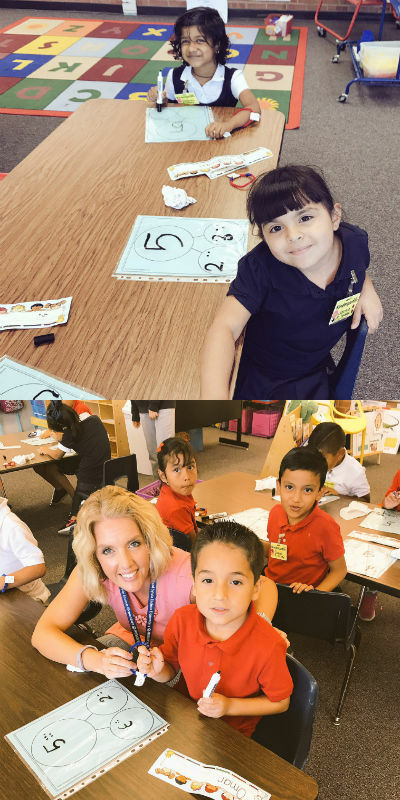 Hartford Sylvia Encinas Elementary - (2017-2018) Mrs. Hickey's kindergarten class has fun decomposing numbers! 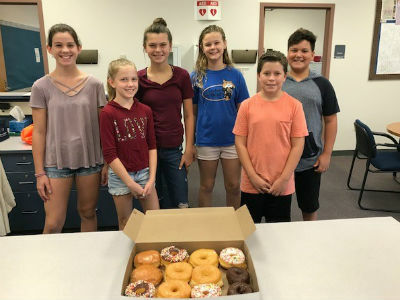 Basha Elementary - (2017-2018) The Basha administration thanked the 6th grade Bus Buddies for their commitment to helping our Bobcat Kindergartners get off the bus and to their classrooms every morning. The 6th graders have committed to working with the Kindergartners for the entire school year to help them navigate the playground. The Bus Buddies ended the week before Fall Break with donuts to start off the day. Knox Gifted Academy - (2016-2017) Congratulations to KGA Kindergartner Anay Gupta who won 4th place in his chess tournament -- which earned him a trophy taller than he is! 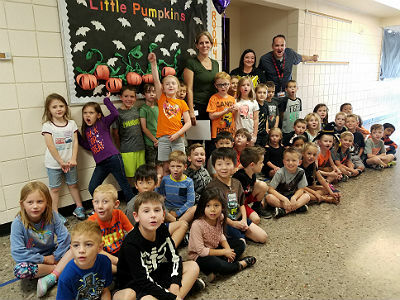 Jacobson Elementary - (2016-2017) The kindergarten classes worked on the character trait of caring by supporting our Student Council Toiletry drive. 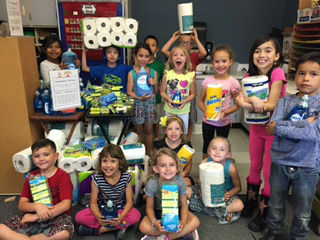 Each kindergarten class selected a different toiletry item to bring in for the drive. Our classes counted the items brought in daily using ten frames and watched the donations fill up our wagons. The final total for kindergarten was 592 toiletry items! 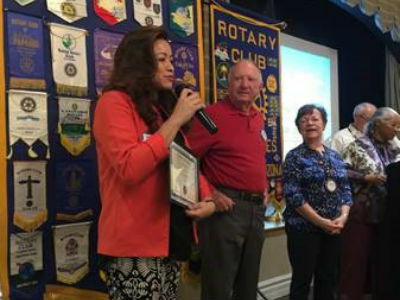 Weinberg Elementary - (2016-2017) Kindergarten teacher Margaret Perea was honored as the Sun Lakes Rotary Teacher of the Month for November. She was honored during a breakfast on November 22, 2016. 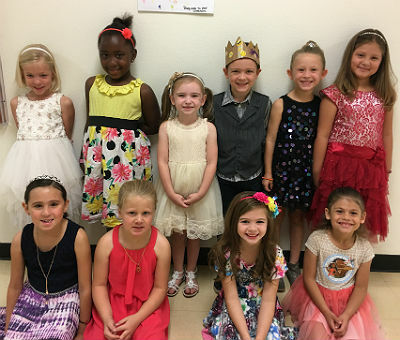 Chandler Traditional Academy - Freedom Campus - (2016-2017) CTA Freedom kindergarten students enjoyed dressing up to match a character from their nursery rhyme poem recitation. 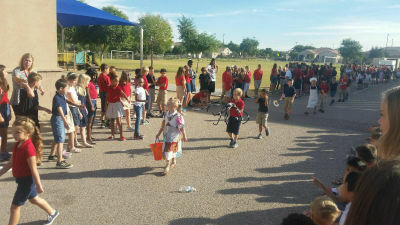 The entire student body came out to watch and cheer as they paraded around the school. 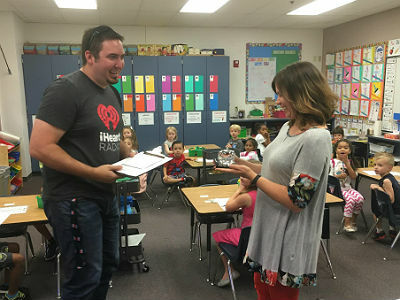 Basha Elementary - (2016-2017) Basha kindergarten teacher, Shirley Lenz, was recognized as KNIX's Teacher of the Week and awarded a $300 gift card. 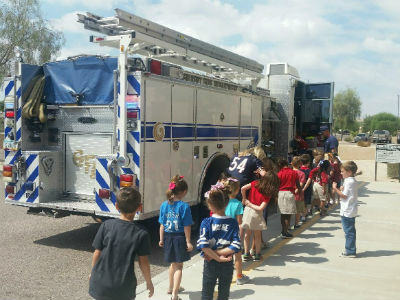 Chandler Traditional Academy - Freedom Campus - (2016-2017) Mrs. Zurat's kindergarten class had a surprise visit from some friendly Gilbert firefighters. The class was treated to a tour of the fire truck, and learned how it works and what its functions are. Jacobson Elementary - (2016-2017) Our special, hands-on kindergarten team creates a 1/2 day "Welcome To School" practice day as their "meet the teacher" event! New parents and little ones practice a morning routine that includes eating in the cafe and a real-life parent pick up! It's a wonderful way to practice and put student and parents minds at ease before the hectic first day. 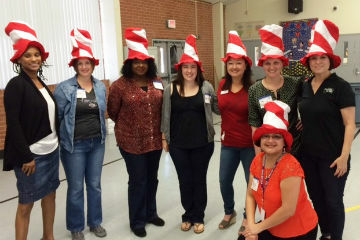 Hartford Sylvia Encinas Elementary - (2015-2016) Volunteers from the United Way came to Hartford Elementary to celebrate Read Across America. Volunteers read to students in grades pre-k to third grade and gave each student a book for their home libraries. We appreciate the time and effort of the volunteers in helping us promote and celebrate literacy! 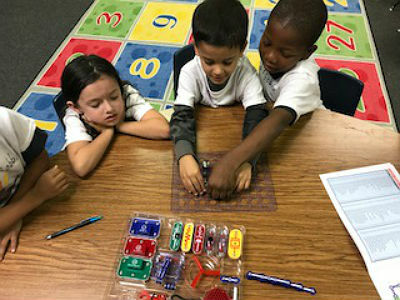 Tarwater Elementary - (2015-2016) Mr. Gaillard's kindergarten class is using STEM (Science Technology Engineering and Math) activities to learn about brain neurons and create representations of how neurons grow. After listening to Paper Bag Princess by Robert Munsch, the kindergarten STEM teams are building dragon-proof castles for the princess! 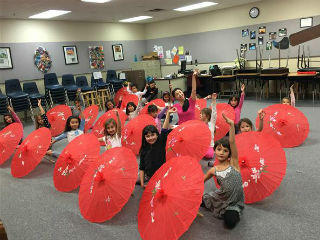 Tarwater Elementary - (2015-2016) Tarwater kindergarten and first grade students celebrated Chinese New Years together! The day-long celebration included games and activities that taught students about the holiday and Chinese culture. Our Dual Language Immersion classes shared songs, stories, and writing projects in Mandarin! Tarwater Elementary - (2015-2016) Tarwater's kindergarten through sixth grade students participated in Code.org's Hour of Code event. Students used Blockly programming code and learned about the field of computer science. Our third through sixth grade students wrote 29,879 lines of code! Tarwater Elementary - (2015-2016) Ying Shao, kindergarten Mandarin teacher, received the Lifelong Learning Legacy Scholarship from the Chandler Education Foundation. Mrs. Shao used the scholarship to prepare for Arizona's Early Childhood Endorsement Tests. Congratulations, Mrs. Shao, for meeting the qualifications and earning your endorsement! 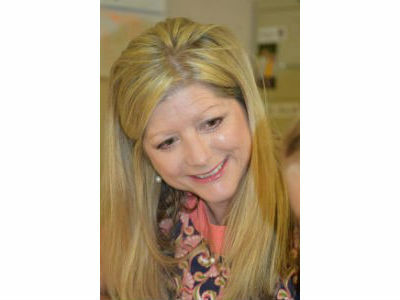 Tarwater Elementary - (2015-2016) Tarwater Elementary kindergarten teacher Anne Jones was appointed to the Childsplay Advisory Panel. 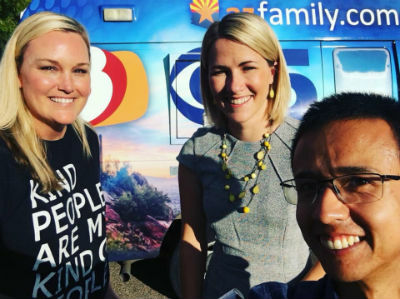 She was selected to represent educational professionals throughout Arizona to promote arts in education and to encourage educators to utilize artistic strategies in the classroom! 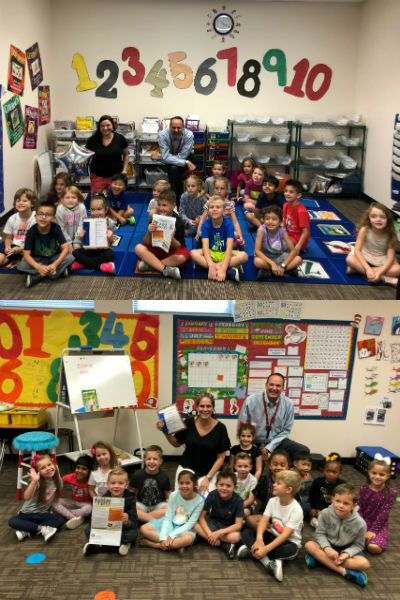 Weinberg Elementary - (2015-2016) Weinberg Elementary was awarded 7 Chandler Education Foundation mini-grants to support school wide and grade level projects. The grants included Let's Find Out (kindergarten), Scholastic Weekly Readers (Grade 1), Living Life Cycles (grade 2), Explosion of Science (grade 3), The Power of Mask (grade 6), Video Camera Bundle (club WNN) and STEM Club (school wide grant). Galveston Elementary - (2015-2016) On January 27th, Galveston kindergarten students and teachers were treated to a performance from the Sun Lakes Rotary Theatre group. Bologna Elementary - (2015-2016) Kindergarten and Fifth Graders are pulling together to create a school garden filled with fruits and vegetables. They are working together to learn about the plant cycle and what responsibilities are needed to make a garden grow. Chandler Traditional Academy - Goodman Campus - (2014-2015) CTA-Goodman kindergarten student Ethan Butters uses his golfing skills to help ill infant. Ethan competed at the World Championship golf tournament at Pinehurst. Based on his performance, he has raised more than $5,200 for Santino, a 6- month-old baby who has an extremely rare brain malformation called Bilateral Perisylvian Polymicrogyria. Ethan is the grandson of Kathie Butters at CTA Goodman, the nephew of Beth Butters, who teaches at CTA-Liberty. Chandler Traditional Academy - Freedom Campus - (2013-2014) Traci Watson, kindergarten teacher at CTA-Freedom, was recognized as the Sun Lakes Rotary Club 'Teacher of the Month' for December. Chandler Traditional Academy - Independence Campus - (2013-2014) Carolyn McCleary, kindergarten teacher at CTA Independence, was presented with the first-ever CEF Lifelong Learning Legacy Scholarship in memory of Joan Clark. Three of Joan Clark's children, Meg Gillett, Patricia Narducci and Jim Clark were on hand for the presentation. The scholarship will aid Carolyn as she acquires her National Board Certification as an Early Childhood Generalist. Hull Elementary - (2012-2013) Deborah Chamberlain's kindergarten class at Hull Elementary had the privilege of participating in the 'United Through Reading Military Program.' This unique program allowed the proud father of student D'Asia Chun, to continue to enjoy the tradition of story time by sending a special DVD to the class. The students enjoyed watching him as he read and were thrilled when he surprised his daughter upon his return from Qatar. Navarrete Elementary - (2012-2013) Kindergarten students in Penny Meskill's class at Navarrete Elementary pledged their allegiance to the flag and sang the national anthem prior to a Basha High girls basketball game. Carlson Elementary - (2011-2012) Angelica Rivas, Carlson Kindergarten teacher, received the Si Se Puede Teacher of the Year Award, Spring 2012. Chandler Traditional Academy - Goodman Campus - (2011-2012) The kindergarten class of Krista Smith at CTA-Goodman adopted a U.S. soldier stationed in Afghanistan. Pfc. Gregory Clifton works in the Intelligence Service for the Army. He is from nearby Paradise Valley. Krista's class collected some of his favorite treats to send as a Christmas gift Pop Tarts, Oreos, beef jerky, socks, and toothpaste. Hancock Elementary - (2011-2012) Above Level Classes: Hancock has programs in place to help keep all students engaged. Students in grades 3-6 have the opportunity to work above grade level in reading and math. Also in 2011-2012 they added above level math for second grade and an advanced kindergarten class.